Williams, H. (2008) Bird song and singing behavior. In The Neuroscience of Bird Song, H.P Ziegler and P. Marler, eds. Cambridge: Cambridge University Press. Wheelwright, N.T., Swett, M.B., Levin, I.I., Kroodsma, D.E., Freeman-Gallant, C.R., and Williams, H. (2008) The influence of different tutor types on song learning in a natural bird population. Animal Behaviour, 75:1479-1483. Pritchard, L.M., *Van Kempen, T.A., Williams, H., Zimmerberg, B. (2008) A laboratory exercise for a college-Level, introductory neuroscience course demonstrating effects of housing environment on anxiety and psychostimulant sensitivity. Journal of Undergraduate Neuroscience Education, 7:26-32. Wilbrecht, L., Williams, H., Gangadhar, N., Nottebohm, F. (2006) High levels of new neuron addition persist when the sensitive period for song learning is experimentally prolonged. Journal of Neuroscience, 26:9135-41. Williams, H., *Connor, D.M., *Hill, J.W. (2003) Testosterone decreases the potential for song plasticity in adult males zebra finches. Hormones and Behavior. 44:403-413. Williams, H. (2001) Choreography of song, dance, and beak movements in the zebra finch (Taeniopygia guttata). Journal of Experimental Biology, 204: 3497-3506. 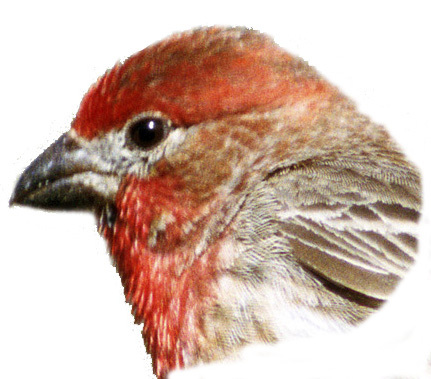 Williams, H., *Mehta, N. (1999) Changes in adult zebra finch song require a forebrain nucleus that is not necessary for song production. Journal of Neurobiology, 39:14-28. Williams, H., & Vicario, D.S. (1994) Temporal patterning of song production: Participation of nucleus Uvaeformis of the thalamus. Journal of Neurobiology, 24: 903-912. Williams, H., Crane, L., *Hale, T., *Esposito, M., Nottebohm, F. (1992) Right-side dominance for song control in the zebra finch. Journal of Neurobiology, 23:1006-1020. Williams, H., *Staples, K. (1992) Syllable chunking in zebra finch (Taeniopygia guttata) song. Journal of Comparative Psychology, 106:278-286. Williams, H., *McKibben, J. (1992). Changes in stereotyped central vocal motor patterns are induced by peripheral nerve injury. Behavioral and Neural Biology, 57:67-78. Cynx, J., Williams, H., & Nottebohm, F. (1992) Hemispheric differences in avian song perception. Proceedings of the National Academy of Sciences, 89:1372-1375. Williams, H. (1990) Models for song learning in the zebra finch: fathers or others? Animal Behaviour, 39:745-757. Williams, H., Cynx, J., & Nottebohm, F. (1989) Timbre control in zebra finch (Taeniopygia guttata) song syllables. Journal of Comparative Psychology, 103:366-380. 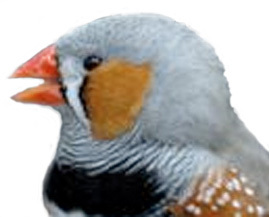 Williams, H. (1985) Sexual dimorphism of auditory activity in the zebra finch song system. Behavioral and Neural Biology, 44:470-484. Williams, H., & Nottebohm, F. (1985) Auditory responses in avian vocal motor neurons: a motor theory for song perception in birds. Science, 229:279-282. Like human speech, bird song can be divided into phonology and syntax. Birds learn phonological units (notes or syllables) from conspecific singers, and then assemble these subunits to form a song. The songs of different species appear to follow different syntactical rules; winter wrens’ songs, though elaborate and complex in their phonology, have an invariant syntax, house finches have rules that define a variety of paths through their large syllable repertoires, and zebra finches have both a small syllable repertoire and a relatively simple linear syntax. We are investigating how syntax arises through 1) comparative studies of related species; 2) selective breeding of zebra finches with variable syntax; and 3) presenting young zebra finches with variable syntax in model songs to determine whether abnormal syntax can be learned. Learned traits, such as songs, are transmitted and changed in ways analogous to genes. Males may learn from their fathers, older neighbors, or even from males of the same age, and females may prefer certain song characteristics. 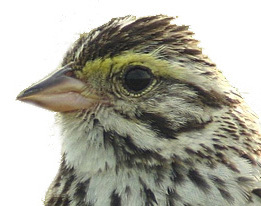 We seek to understand how, in a wild population of Savannah sparrows, these factors combine to cause some parts of the song to be stable for decades, others to vary rapidly and randomly, and still other song segments to vary systematically over time. The approaches we use are observational (tracking changes in song and relating them to characteristics of the singers), comparative (contrasting the songs of different populations), and experimental (exposing young birds to a variety of songs to determine which novel sounds are incorporated into the population). Zebra finches are “critical period” learners, completing song learning at sexual maturity, which occurs 90 days after hatching. By interfering with the mechanics of song production, we can induce adult males to alter their songs in a way that is similar song development learning process. What conditions and what neural circuits are necessary for rejuvenating the brain?